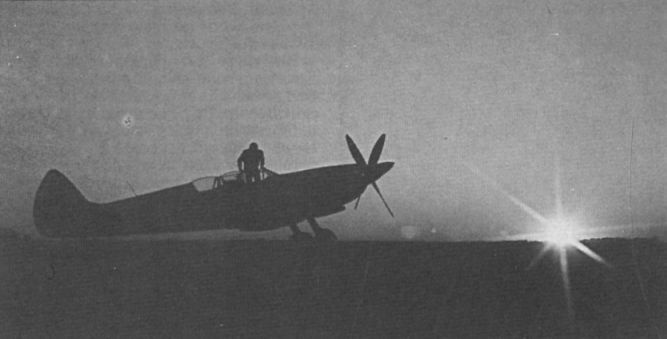 A two-seat conversion of the Spitfire IX made in the Soviet Union by the No 1 Aircraft Depot. Leningrad, in 1945. With ex-Sqn Ldr John Houlton in the rear seat, Carolyn Grace takes ex-D-Day Spitfire IX ML407 into the air at Duxford on April 29, 1994. 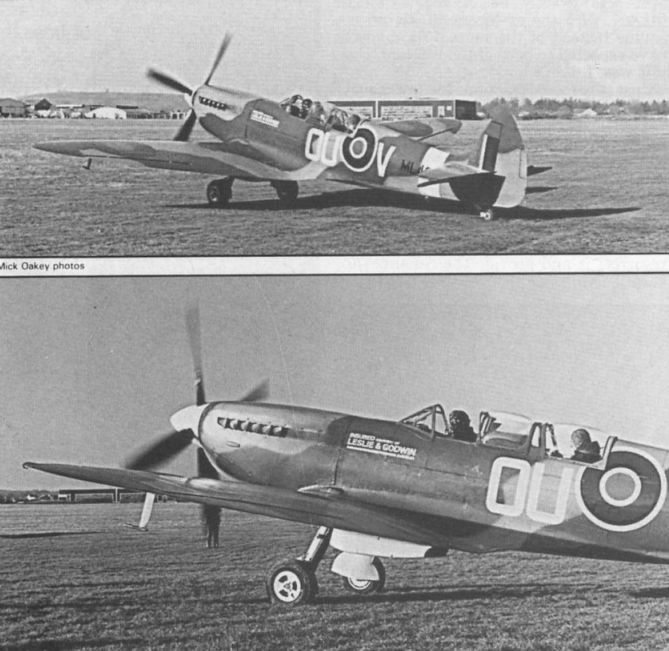 The Mk VIII MT818 converted by Supermarine to the prototype Spitfire Trainer. Beautifully restored by Don Plumb of Windsor, Ontario, this Spitfire Trainer now carries its original RAF serial number TE308 and typical RAF colours, although it never served in the RAF as two-seater. 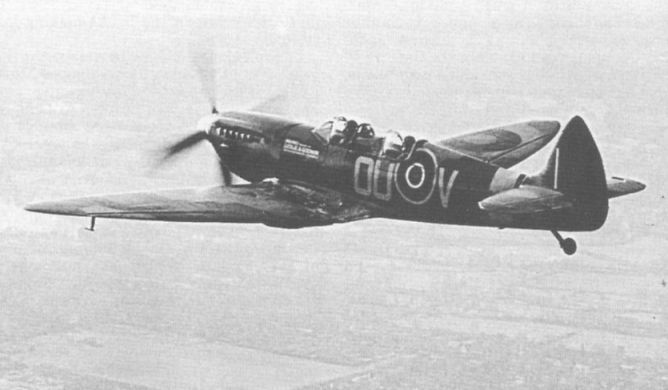 After conversion to a trainer by Supermarine, it went to the Irish Air Force as 162, subsequently appearing on the British register as G-AWGB for the film "Battle of Britain". 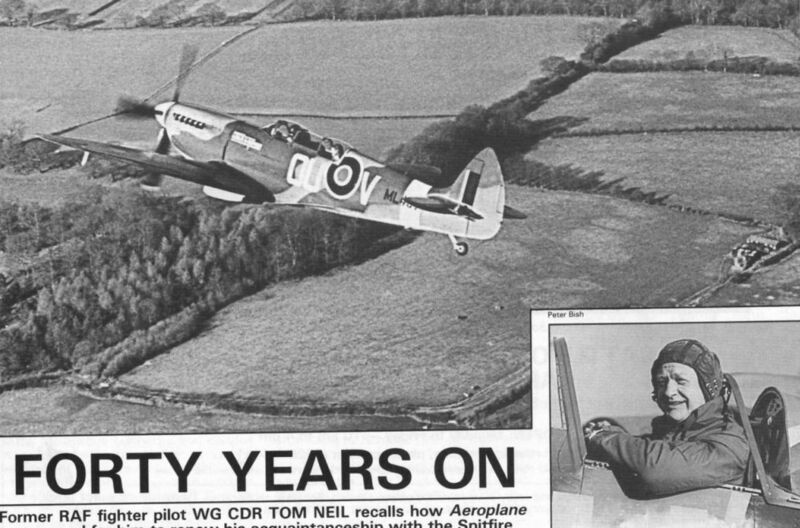 Another Spitfire Tr.9, this time one of three attend­ing Oshkosh in August 1987. The owner of TE308 is Bill Greenwood, of Aspen, Colorado. Nick Grace and the author taxy out to take off from White Waltham. 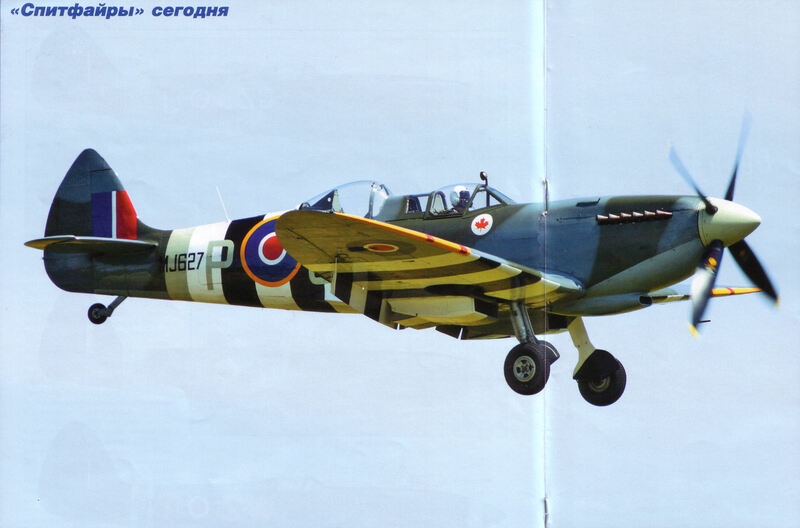 Leslie & Godwin, the aviation insurance company, has sponsored the Spitfire for the 1987 airshow season. Nick Grace and the author wing their way over the Berkshire countryside under a weak winter sun. Inset, the author proves that six foot three into four feet six will not go - not at first, anyway. Are you all right? 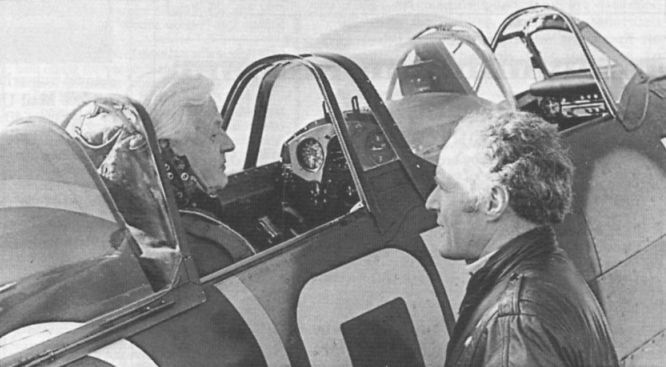 Nick Grace, owner and restorer of Spitfire Tr 9 ML407/G-LFIX, reassures the author, wedged into the rear seat of the Spitfire. 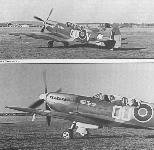 Charles Church’s two-seat Supermarine Spitfire Tr.9 at his Hampshire base on August 1, 1987. 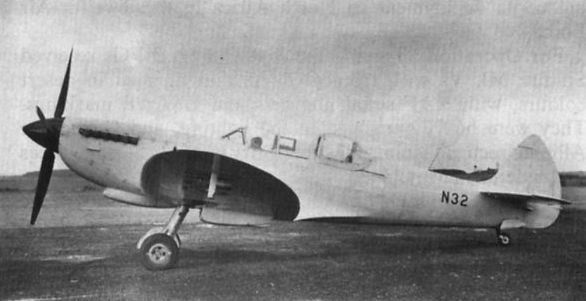 Its first post-restoration flight took place on July 25. Учебный "Спитфайр" голландских ВВС - участник "полицейских акций" в Индонезии.